Islamabad : High Commissioner of Democratic Socialist Republic of Sri Lanka Noordeen Mohamed Shaheid has suggested expanding the scope of Free Trade Agreement between Sri Lanka and Pakistan from goods to services and investment. He was speaking at a conference titled ‘Enduring Friendship between Sri Lanka and Pakistan’ organised by Centre for Global and Strategic Studies (CGSS). Federal Minister for National Food Security and Research Sahibzada Muhammad Mehboob Sultan was the chief guest on the occasion. Others who spoke at the conference included Chairman CGSS Lt Gen (r) Zahir Ul Islam, Director General of Economic Affairs, Ministry of Foreign Affairs, Sri Lanka, Saroja Sirisena and former High Commissioner of Pakistan to Sri Lanka Major General (r) Shakeel Hussain. Sri Lankan High Commissioner recommended revisiting the content of Free Trade Agreement signed between the two countries about 14 years ago in order to explore new areas and new avenues of business between the two countries. 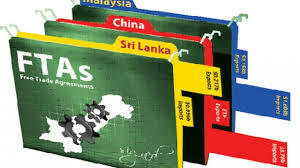 “Businessmen and entrepreneurs of Sri Lanka are not sufficiently aware of business opportunities that exist in sectors such as power, gem and jewellery industry, hospitality and tourism etc.,” he said adding that relaxations in visa regime would facilitate Sri Lankan business community in exploring the new avenues of investment. The High Commissioner talked about the history of cordial and friendly relationship between the two countries and the way both countries stood by each other in the difficult times. He said that Sri Lanka faces relentless diplomatic pressure from the political arm of defeated Liberation Tigers of Tamil Eelam (LTTE). “Such elements in Europe and North America have been attempting to undermine the decisive victory of Sri Lankan forces in 2009.” He thanked Pakistan for taking a stand with Sri Lanka against the resolution presented in UNHRC to investigate the alleged war crimes by Sri Lankan government. “Sri Lanka will never forget when Pakistan clearly stated in UNHRC that any such attempt would be a clear violation of the sovereignty of Sri Lanka,” he added. He said that as situation in Pakistan is gradually improving, the Sri Lankan hospitality industry has a great potential in investing in the country. “To achieve greater heights in hospitality industry, civil aviation links between the two countries need to be enhanced,” he said adding that Sri Lankan national carrier of Sri Lanka is flying five times a week to Karachi and thrice to Lahore. He said that the volume of trade between Pakistan and Sri Lanka has increased in last few years after signing of Free Trade Agreement. “Pakistan is the second largest trading partner of Sri Lanka within the South Asian region. Pak-Sri Lanka ties can serve as a shining example of cooperation in bilateral, regional and international level,” he said. The federal minister said that deep ties between Sri Lanka and Pakistan call for increasing future cooperation in health, education and other social sectors. He highlighted the fact that Pakistan and Sri Lanka are fast becoming international trading hubs due to their strategic locations. He identified sharing of vital commercial intelligence input as another aspect of Sri Lanka and Pakistan economic relationship. “We have done extensive studies on commercial intelligence and are prepared to share vital information with friendly countries such as Sri Lanka,” he said adding that the new government is intended to strengthen bilateral ties between the two countries. “It is the best time to initiate not just talks but action. Pakistan is looking forward to enhancing the ties with Sri Lankan government and for that the business community of both nations need to step up to comprehend all potential areas of business collaborations. He said the current dynamics of the shifting of the power centres places much focus of international community on Asia. “Due to their strategic locations, both countries are poised to become international centre place,” he said adding that formation of new alliances in the region to maximize power of states provides new opportunities for both countries to join hands and integrate with the world as leading economies. Zahir ul Islam said that Pakistan and Sri Lanka had continued to maintain strong, robust and reliable relations to increase interaction to the highest political level and people to people domain. “Pakistan and Sri Lanka ties serve as shining example at bilateral, regional and international level. As the business and trading communities of both countries complement each other’s strengths and as the two governments stand by each other at different bilateral and regional and international forums, we rejoice in the fact that this has been a relationship of choice and not of compulsion.” The conference ended with a mesmerizing performance by Sri Lankan Army Cultural Troupe.